OSAMA BIN LADEN DEATH PHOTO INTERNET RELEASED? Is Osama Bin Laden Really Dead unconfirmed reports are floating around the internet of-his-death photo, barack obama’s recent conspiracies of him toying around with the press of his not to mention his latest him and [donald trump] joking around on his birth certificate just sparks further speculations on this well scripted breaking news of the death of osama bin laden? There are conspiracies going around the internet web that osama bin laden was already dead years ago or he is not even dead? then also there is osama bin laden buried at sea to further peoples doubts on this elaborate possible American government lie to gain popularity in u.s politics and to upswing the u.s economical finances? President Barack Obama has become pretty sly when it comes to entertaining the media to get the greatest attention cause he also now knows america loves conspiracies of many theories so he left a door open for conspiracy theorists to ponder by having osama bin laden buried at sea if in fact was even captured dead at all? Osama Bin Laden sleeps with the fishy story? 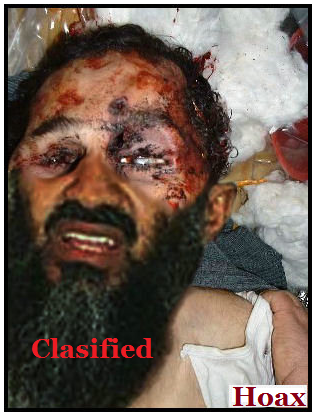 Photo of latest unconfirmed death of osama bin laden?